The official challenge window has ended. We will grade all the students, make sure you can generate personal certificates and round up the downloadeable answer sheet as soon as possible. You can download all those things after your Thanksgiving break! and you can start your practice challenge right away. Have fun! It doesn't take much time and is completely free. 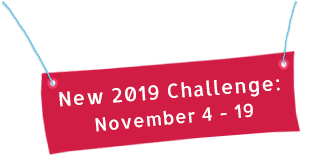 Register now and join the 2019 challenge! The Bebras® Computing Challenge introduces computational thinking to students.